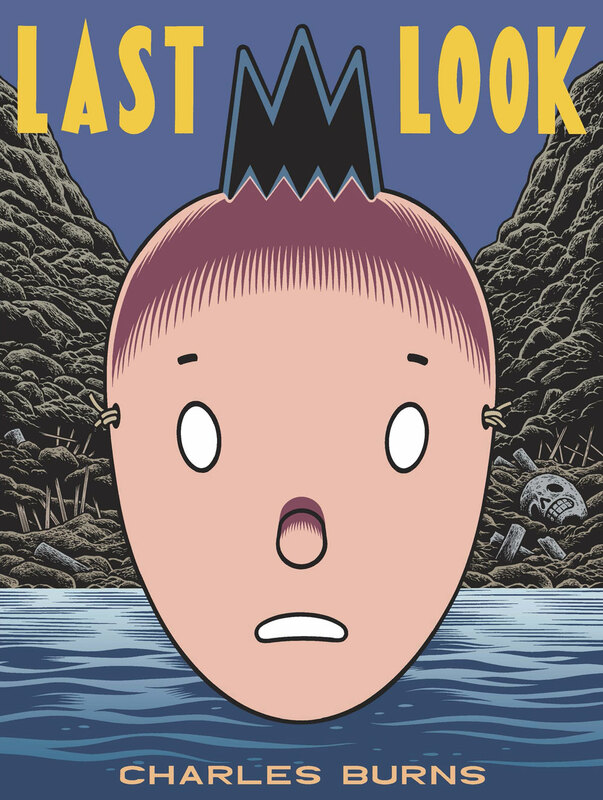 Wickedly unsettling and alluring, Charles Burns’s graphic novel Last Look was originally published in three separate hardcover volumes between 2010 and 2014: X’ed Out, The Hive and Sugar Skull. Typically, omnibus editions are executed for a little extra cash for the author and publisher, or as a slick compilation for collectors, but Last Look is different. Whereas Burns’s outstanding Black Hole (1995-2005) was effectively a comic book serial, Last Look reads more like a polished novel in three parts. Read separately over a few years, its single volumes feel like fleeting, hazy, episodes, but together they click into an exceptional, tightly drawn narrative arc, full of recurring motifs and layers of erudite referential material. While readers could certainly recreate the Last Look experience with its separate volumes by way of a disciplined reading session, this collected edition secures that readers will experience its full, tragic glory without turning away. It’s Burns’s best book yet. Burns sinks into the punky glory days of Doug’s past, back when he was opening up for bands with his abstract William Burroughs-inspired poetry readings, which he would accompany with the sounds of some noisy tape loops coming from the player around his neck. He called himself Johnny 23 (after a story in Burroughs’s Exterminator!) and wore a bizarro black-haired Tintin mask while on stage. It was a character he invented named Nitnit; Hergé’s boy reporter through the looking glass. It’s clear that some decisions made by Johnny 23-era Doug are the source of his anguish in adulthood, but they’re difficult to pinpoint in these flashbacks. Burns traces the beginning of his relationship with the beautiful Sarah, who had some past traumas of her own. The secrets of Last Look are circumnavigated with a sealed-lips steadfastness reminiscent of Hemingway’s “Hills Like White Elephants.” But with a confidently executed delirium, Burns gives readers a mind-warping look straight into these suppressed memories by way of a horrifying, allegorical dreamworld. In Doug’s subconscious, he’s actually the beady-eyed Nitnit of his punk show mask, on an adventure to make good on his past indiscretions. Nitnit follows a black cat named Inky into a sewer, rides a mattress down a river of toxic slime and stumbles through a factory run by one-eyed, insectoid works. He explores a desert village, where he meets a squinty little monster who shows him around town. They get a meal from an egg-seller among townspeople who speak in an (actually translatable!) alien cipher. Scrambled eggs are cracked out of dozens of red and white ovoids that recall the mushroom spores in Hergé’s craziest Tintin adventure, The Shooting Star. Nitnit learns that the eggs are brought into town from The Hive, where a series of adorable, human Hive Mothers are brought to harvest. Nitnit’s adventures are expertly woven into Doug’s flashbacks and his adult anguish; Burns’s fine management of these three timelines showcases his deft authorial skills, which compliment his horrifyingly arresting ink-pen illustrations. 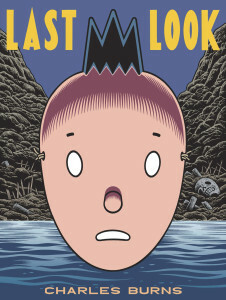 The nuances of Last Look are for exploring — connecting the visual imagery of what is essentially bootleg horror-Tintin with the conceptual backbone of Burroughs’s cut-ups will sluice readers down their own adventurous pipelines of Burns-grade slime. Best of all, however, is that there’s a stunning human core underneath Last Look’s dazzling layers. Beyond the repressed memories of college-age pretensions and sexual exploration and aggression, and even beyond the unshakably grotesque visions of Doug’s Nitnit fever dream, Burns shows his readers that pure, human guilt may be the most horrifying thing of all.